Call us on (07) 3343 4869 or make an appointment Online. 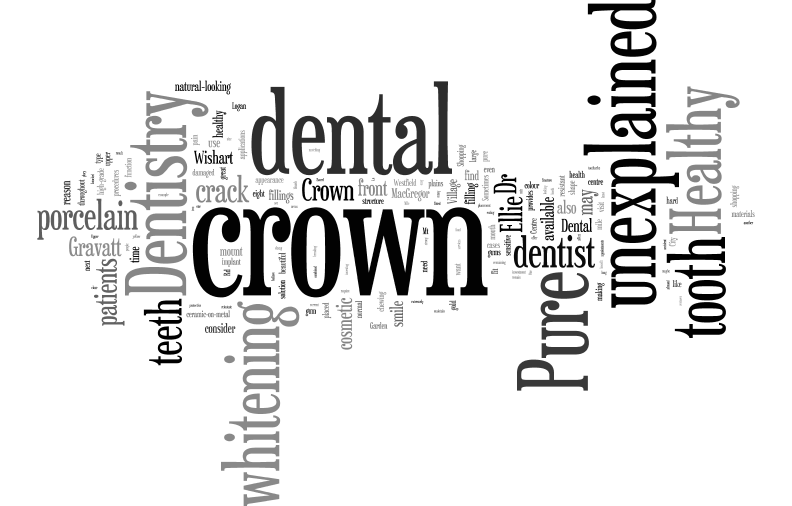 Read below to learn more about dental Crowns. 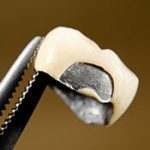 What is a dental crown? It is a technique in tooth restoration. 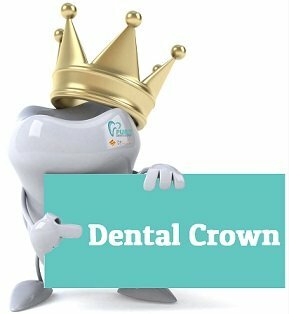 A crown is commonly used by a dentist when a tooth is irreparable with a composite restoration. It is a tooth-like cap that fits and sits onto your damaged tooth. It is used to reinstate the shape of the tooth. This material surrounds your tooth and restores the shape of the tooth and its size. It also strengthens the structure of a tooth that has a large filling and protects it against breaking. When fitting it to your tooth, we ensure that it does not sit on your gum. If it is placed on the gum it can irritate and affect the health of your gums. Our Dentist Dr. Ellie provides this service to residents of the Brisbane suburbs Wishart, Holland Park, Eight Mile Plains and more! Wishart postcode is QLD 4122. Holland Park postcode is QLD 4121 and Eight Mile Plains postcode is QLD 4113. Dr. Ellie may recommend it for a tooth when they find a large filling in your mouth or when because of a decay, the remaining tooth structure is not strong enough. Sometimes it can be used to manage the risk of the fracture in a weakly-structured tooth. Our clinic provides dental services to many patients in Brisbane Southside suburbs like Mt Gravatt and MacGregor. You can find our office in the Village Shopping centre next to Toyota on Logan Rd. Upper Mt Gravatt postcode is QLD 4122. In some cases, we may recommend you to consider it for your implant. Do you have unexplained toothache? “Some patients have hairline cracks in the fillings. Most likely in the chewing part of their fillings. They are not aware of the crack because they can’t see the crack or feel it with their tongue but they complain about an unexplained pain in that tooth”, Brisbane Dentist Dr. Ellie says. 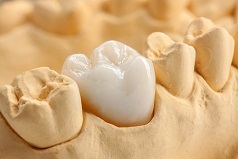 Sometimes, placing a dental crown (a tooth-shaped cap) on the tooth relieves the unexplained pain. The restoration brings that cracked tooth back to its normal function again. How long does it take to fit one? 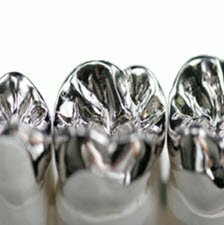 In Pure Dentistry, Upper Mt Gravatt Brisbane, we require at least two appointments or more to fit a crown. In the first visit, Dr. Ellie will remove decays and shape the tooth in preparation for a new fitting and in the second visit the cap is fitted to your tooth. When do you recommend this procedure to patients? In our Mt Gravatt dental clinic, when the dentist cements the cap to your tooth, it encases the visible part of the teeth. 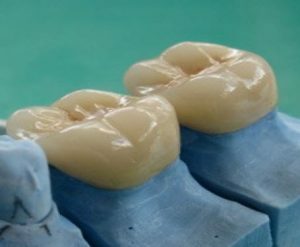 What materials and types are available for a Dental Crown? In terms of construction materials, they can be classified in three groups of all-ceramic, all-metal and ceramic-on-metal. Dr. Ellie our dentist in Brisbane often chooses a tooth-coloured and natural-looking type for her patients. Dr. Ellie tends to recommend high-grade porcelain from cosmetic point of view but Porcelain type is not the only type available from Pure Dentistry. 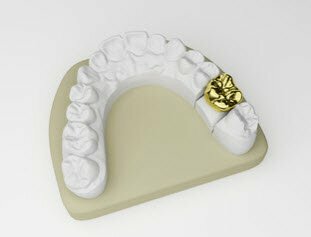 Other types are also available and generally can be made of acrylic resin, gold, porcelain bonded to gold or a mix of materials however, with the current market and technology, usually porcelain type provide the most realistic and natural-looking appearance for most people. Our service area mainly consists of Eight Mile Plains, Holland Park, Rochedale and Mackenzie. Mt Gravatt postcode is 4122 the same post code as Wishart and Macgregor postcode that is 4109. Very economical and less expensive but they tend to last less because they are vulnerable to fractures. Acrylic polymer resins or Polymethyl Methacrylate are most commonly used. 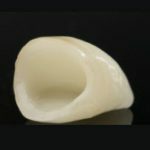 Zirconia is claimed to be the most durable type. This type is also the most natural looking type but their cost is high. 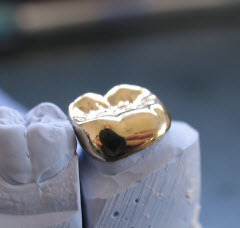 Gold has great performance but they don’t mimic the natural colour of the tooth. Metal types include alloys e.g. gold alloy and base metal alloys. They are strong and they last long but they have a distinct colour. Compared to metal and gold, PFM is more subject to wear and tear but they have been very successful and are the most preferred type because colour matching is very efficient*. This type is a great option for front teeth because they are the best to get a natural-looking tooth. But compared to PFM, they are less strong because they are metal-free. *If you live in Brisbane, our dentist will match the colour of a PFM cap to the colour of neighbouring teeth. So, consider teeth whitening before crown colour selection by our dentist. Some people need fillings in their front teeth and they worry that a filling in their front teeth affects the beauty of their smile. One suitable restorative solution is to use high-grade porcelain crowns for your front teeth that is booth natural-looking and protective of the front tooth against breakage. If you are one of Wishart residents suffering from severely sensitive teeth, your dentist may recommend dental crowns to you to restore your lifestyle and the functionality of your teeth making drinking and eating like normal for you again. Dental Crown and whitening – Do whitening First! Are you getting dental crowns in Pure Dentistry for cosmetic reasons? Then you should consider teeth whitening first, Dr. Ellie says. The reason is that we use bleach resistant and stain resistant crowns in Pure Dentistry. You don’t want the colour of your crown be matched to your teeth when they are yellow. You want the crown to be match to a white bright healthy looking teeth so consider teeth whitening before your crown colour matching appointment. How to maintain your dental crowns from pure Dentistry? Crowns can last decades and even for a lifetime if they are provided with proper care. You should brush and floss so that bacteria does not build up on your crowns and gums remain healthy. You also need to avoid chewing ice and other hard food like hard dry almond because they can cause your dental crowns to crack and even break over time. Crowns do also have cosmetic applications. Dr. Ellie may recommend you a dental crown for cosmetic purposes i.e. to improve the appearance of your beautiful smile. For example, if your tooth is badly shaped for some reason or it discoloured, then the dentist may offer you a dental crown solution. At Pure Dentistry, our dentist Dr. Ellie provides dental crowns and bridges for patients throughout the 4122, 4113, 4107, 4108, 4109 and 4156 areas. Our dental crown placement procedures are extremely effective in reinstating a tooth that has knocked out, fallen out, damaged in an accident or is infected. Residents of the mount Gravatt area can find Pure Dentistry in the Village shopping centre on Logan Rd next to Coles and very close to Westfield Garden City shopping Centre. The benefit of the Village Shopping Centre is that it is not as busy as Westfield Garden City and easy parking is always available. Less traffic time and more time to spend with the family. If you are interested in learning more about dental crown procedures, contact your cosmetic dentist Dr. Ellie at Pure Dentistry for a crowning glory smile. At Pure Dentistry, we believe that investing in your oral health is a great long-term investment and great way of enhancing your life-style. We make decision making easier for our patients in upper Mt Gravatt to have a healthy beautiful smile.